Charlotte’s City Council has a lot of influence over development across the city. The 11-member body essentially wields veto power on many of the new apartments, townhome and mixed-use projects flooding the city. And for particularly influential council members, this leads to thousands of dollars in campaign contributions in municipal election years like this one. The development community is a significant campaign spender in many cities across the country. 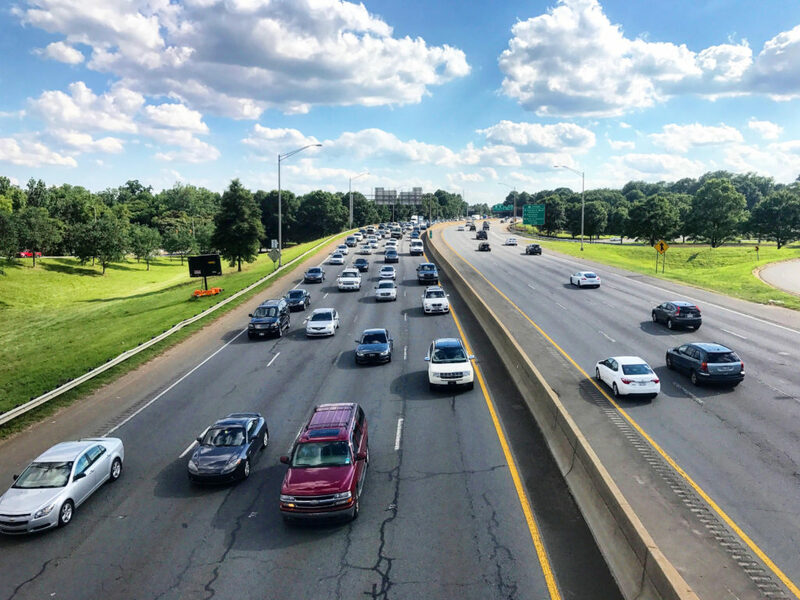 But this relationship is worth examining in Charlotte, especially as the city council professes to want to make development more visually appealing and to combat some of the negative effects of gentrification. South End, in particular, has been a hotbed of development over the last several years. The city council member who represents the area has the broadest network of contributors from the development community, according to campaign finance disclosures made public this week. LaWana Mayfield received donations from about four dozen members of the Charlotte development community, totaling at least $12,725. That’s more than half of the total amount she’s raised this election cycle — giving Mayfield a significant war chest in a race where she doesn’t face a primary challenger in a heavily Democratic district. 14 executives at Crescent Communities donated a collective $1,500. The company just went through a significant rezoning for the River District and has numerous properties under construction around the city. Four attorneys who handle rezoning requests that go before the council donated a collective $1,325. Peter Pappas of Pappas Properties gave Mayfield $1,000, the highest contribution from the development community. Pappas recently got city incentives for a Midtown property. The principals of SYNCO Properties, Grubb Properties, Argos Advisors and Proffit Dixon all chipped in. All have had business before the city. Other members received donations from the industry to a lesser degree. Patsy Kinsey, who represents the Plaza Midwood area, received $2,150 from eight donors in the development community. That’s about a quarter of her fundraising so far. Claire Fallon, who is often outspoken about developments she doesn’t like, also cashed in. She memorably compared a proposed apartment community in the University City area to Soviet “barracks” last fall. She received $3,800 from seven members of the development community. Of that, $2,600 came from Daniel and Darrin Levine of Levine Properties. Many candidates have not yet disclosed their individual donors for the year, only aggregates. Some — like at-large incumbent Julie Eiselt — haven’t yet publicly reported totals. Mayoral candidates raise more than $1 million, collectively. 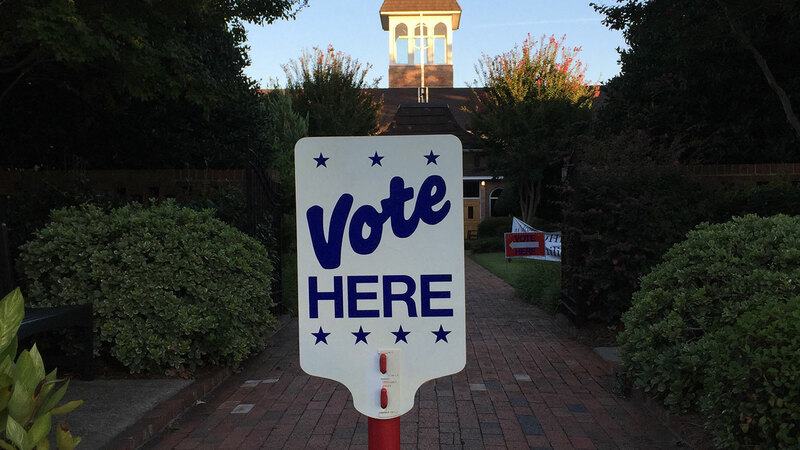 Charlotte’s mayoral race is tightly contested and features four big-name candidates. Fundraising is responding accordingly. 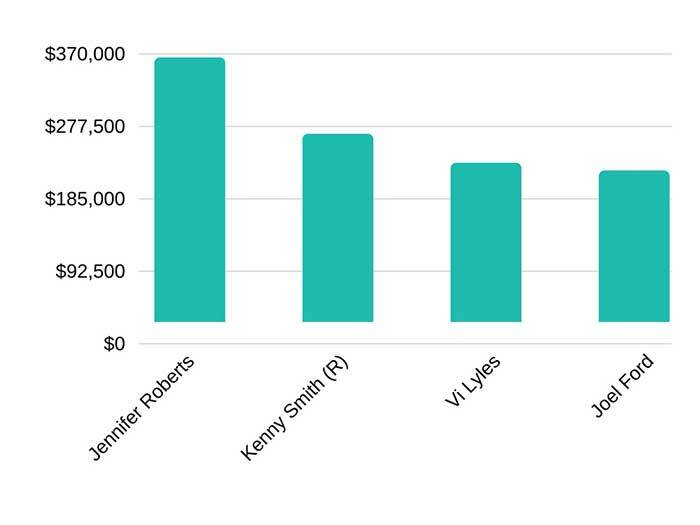 As in 2015, Jennifer Roberts has a commanding lead. If you want more detail on the numbers, these include the specific totals and the cash on hand. *Smith had about $65,000 on hand going into the mayoral campaign from previous election cycles. Several challengers reported eye-popping fundraising totals in the disclosures made public this week. The two Republican challengers for at-large seats on the council reported the highest fundraising totals of any candidates for city council. That will help them with name recognition in the uphill battle they’ll face in a deep blue city. John Powell, who has run in previous years, has raised $54,930.32. Parker Cains, a first-time candidate, has raised $39,563.81. In District 1, the Plaza Midwood district, Democratic challenger Larken Egleston has raised $32,485.76. That’s about four times more than what incumbent Patsy Kinsey has raised.